The newest Lexus flagship may not break any new ground, but it’s a worthy contender in its class. While it’s true that buying tastes have shifted from sedans to SUVs, Lexus believes the time is right for the all-new LS to make a splash in the U.S. luxury-sedan market – in part because customers have waited so long for this car that they might have bought its rivals instead. When those customers come back to a Lexus showroom, they’ll find an LS that’s considerably prettier than the one before it. 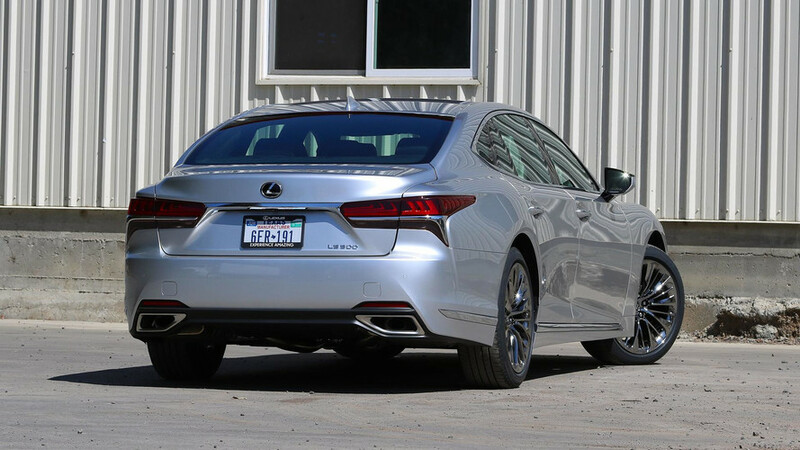 Designers attempted to produce a more coupe-like silhouette than the last three-box LS, making the rear window angle shallower and introducing a “sixth window” in the C-pillar. (That tiny window even gets teensy power sun shades on models so equipped.) It’s a more modern, graceful look for the LS that is prettier and less austere than the one before it. The grille, by the way, consists of an incredible 5,000 surfaces, which Lexus says a designer spent six months crafting in CAD software. 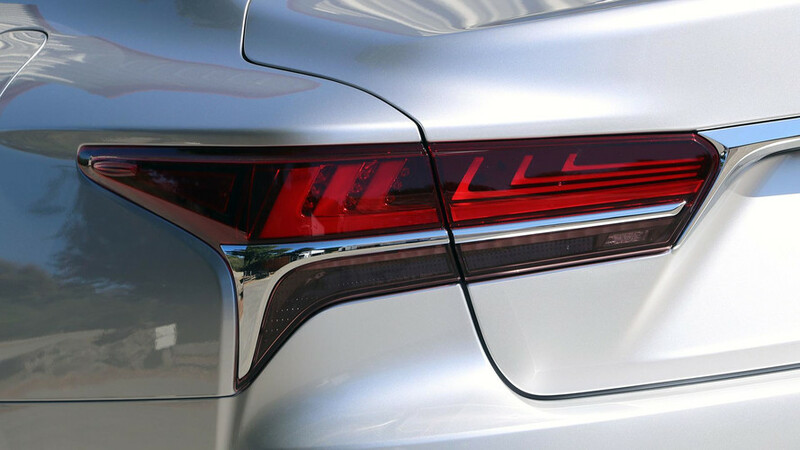 Front and rear lighting elements employ L-shaped graphics, for Lexus; don’t call it a Nike swoosh. 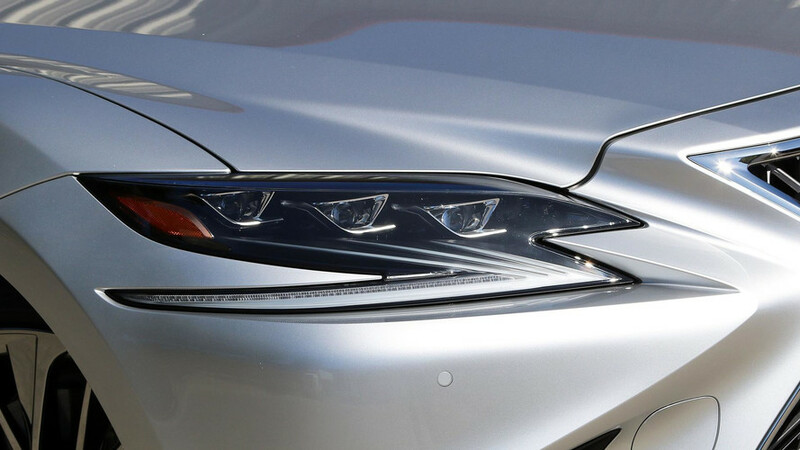 The nose has perhaps the second-best integration yet of the company’s big spindle grille, after the LC coupe. 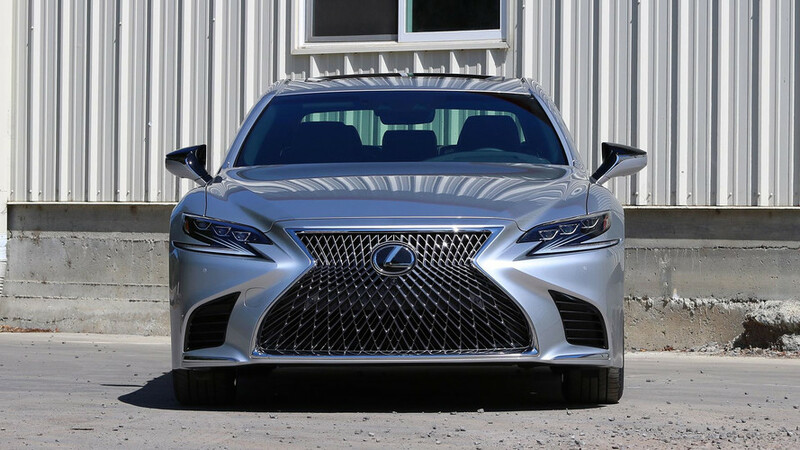 The grille, by the way, consists of an incredible 5,000 surfaces, which Lexus says a designer spent six months crafting in CAD software; the more intricate one on F Sport models has 7,000 surfaces. Complexity, thy name is spindle grille. 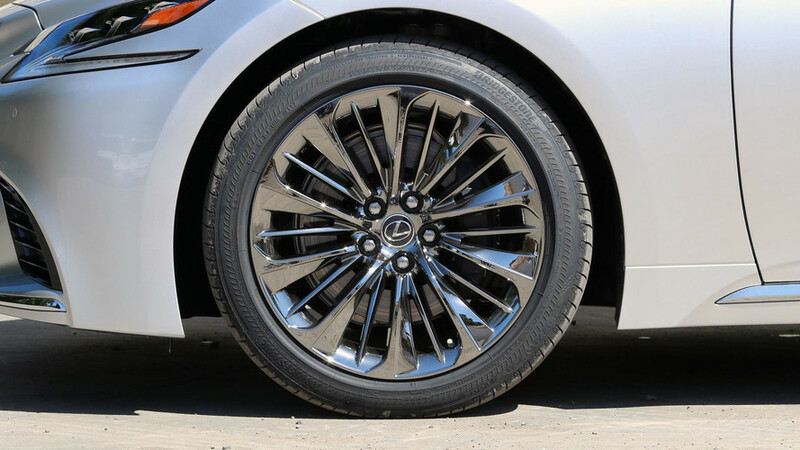 There are five different wheel designs; the two 19-inch options and one of the three 20-inch options have special hollow rim designs that apparently reduce road noise. Where the old LS was offered in short- and long-wheelbase variants, the new one follows the trends of its rivals and will be offered only in one configuration, a 123.0-inch wheelbase, or 1.3 inches longer than the old LWB version. Overall, the car is one inch longer. That growth pays dividends for passengers, with rear legroom up by 2.2 inches. As well as spacious, the cabin is a sight to behold. On high-trim models, Lexus points to laser-cut wood trim, hand-folded fabric door-card inserts, Kiriko Cut glass trim, and ambient lights inspired by Japanese “Andon” illumination. “Some of the competitors feel a little bit clinical some of the time, so we thought it was important to get this human touch,” Bolain says. Lexus even took care to make sure the door- and center-console armrests are at the same height to mimic the comfortable ergonomics of an armchair. It works. Sweeping dashboard elements produce an organic and natural feel. The directional parts of the air vents are hidden behind decorative horizontal ones, preventing any misaligned lines that might otherwise offend nit-picky drivers. And Lexus even took care to make sure the door- and center-console armrests are at the same height to mimic the comfortable ergonomics of an armchair. It works. What doesn’t work particularly well is the touchpad-based infotainment system. 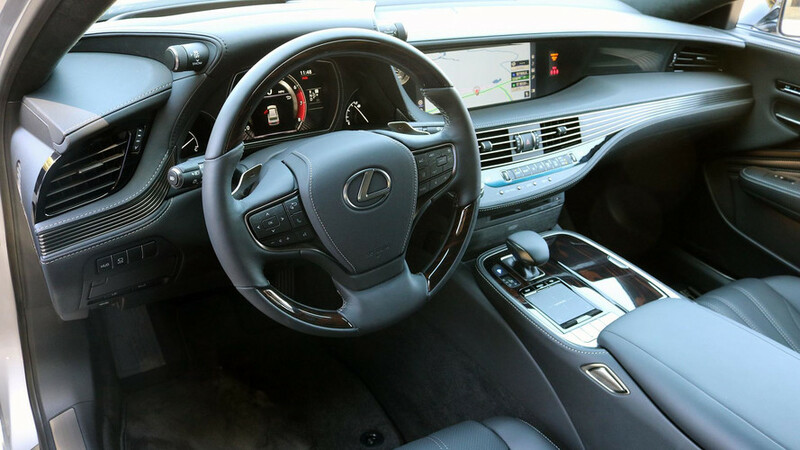 As frustrating here as in any Lexus product, the software’s labyrinthine menus make turning on or off the heated seats, or finding a new satellite radio station, a multi-step exercise in tapping and swiping on the console-mounted input pad. The map graphics are a jumble of brightly colored lines and arrows, too. Finding a destination is much easier, though, thanks to new, cloud-based, natural-language voice recognition that works supremely well – “Take me to Fisherman’s Wharf.” There’s also lots of info projected on the windshield thanks to a full-color head-up display that spans two feet wide – claimed to be the largest in any production car. In addition, both the driver and passengers can take advantage of a new 4G wi-fi hotspot for connecting their own devices. 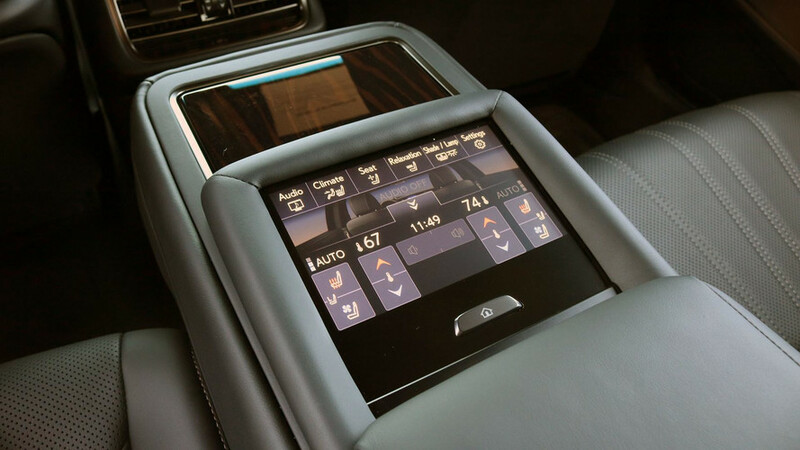 Not that you’ll be worried about the touchpad if you’re relaxing in the back seat. 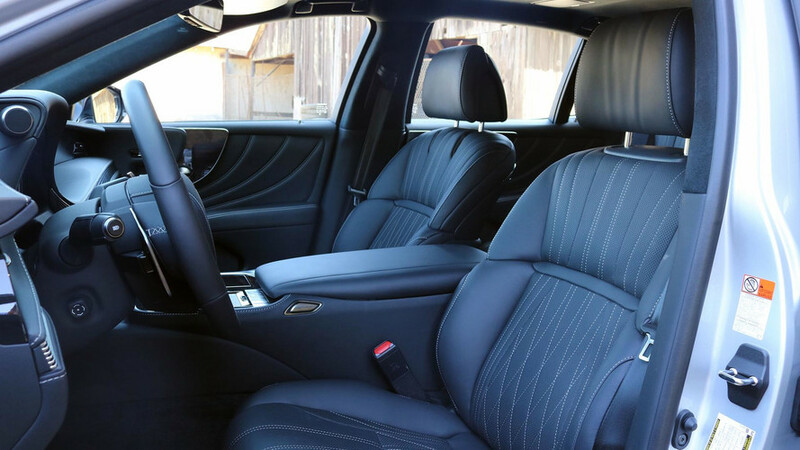 In LS sedans equipped with the Executive package, the right-rear seat has a powered ottoman and reclines 48 degrees, along with a massage feature to work out any tight muscles. It even pushes the passenger seat all the way forward to maximize legroom – Lexus says you get more legroom with the seat fully reclined than in any prior LS. Open the door to exit the car, and the seat automatically retracts to its normal locked and upright position. After demo-ing the seat and cranking up the massage feature, I almost didn’t want to get out again. Up front, the driving experience is unerringly pleasant. Aside from the silly transmission shifter cribbed from a Prius, every control is straightforward. Up front, the driving experience is unerringly pleasant. Aside from the silly transmission shifter cribbed from a Prius, every control is straightforward. The various modes are selected by a twist-and-push knob at the top-right of the instrument cowl, just like on the LC coupe. The electric power steering has just the right amount of assist, while the suspension is plush in every drive mode. There tends to be a lot of body motion, but all of it serves to quell any unpleasant sensations from the road. In part because active noise cancellation is standard, the cabin is as quiet as in any sedan outside of a Bentley or a Rolls-Royce. 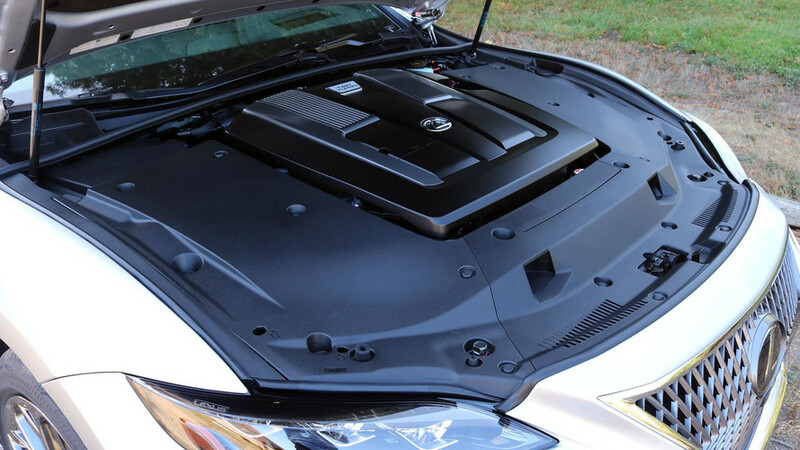 Under hood is a new biturbocharged 3.5-liter V6 engine with 416 horsepower and 442 pound-feet of torque. That’s plenty of punch, and there’s no denying the LS 500 is a quick car with practically no turbo lag. But the effortlessness of the engine’s power delivery – that peak torque is available from 1,600 through 4,800 rpm – precludes the car from ever feeling terrifically eager or frenetic. It’s just a strong, smooth, predictable engine, all traits that serve a big luxury sedan well. The engine is well matched to its attendant 10-speed automatic transmission, which deftly shifts with almost no noise or vibration. In busy traffic approaching the Golden Gate bridge, there are some occasional clunky downshifts, but as multispeed gearboxes go, this one’s pretty faultless. 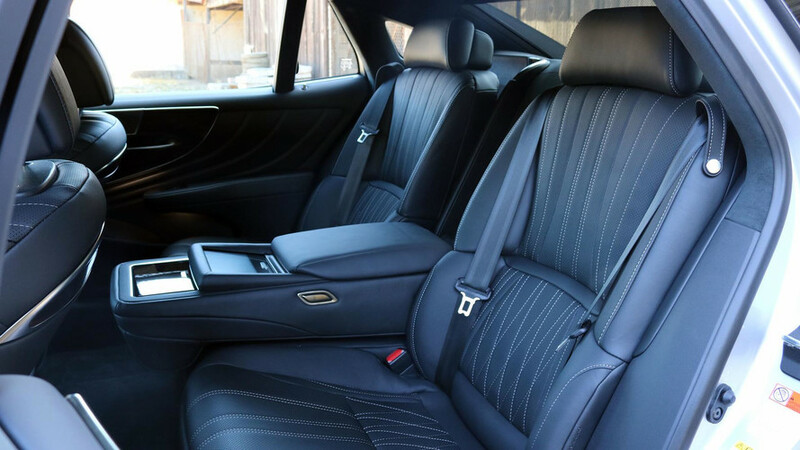 In LS sedans equipped with the Executive package, the right-rear seat has a powered ottoman and reclines 48 degrees, along with a massage feature to work out any tight muscles. As with most of the Lexus range, the LS 500 also has an F Sport variant. Visually, look for a more involved grille, perforated leather seats, unique wheels, aluminum pedals, a suede headliner, and a slightly different instrument cluster inspired by the LFA’s. 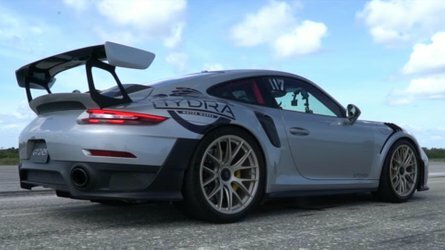 Yet it also has genuine mechanical upgrades: a retuned adaptive suspension, larger brakes with upgraded pads, wider rear tires; and an available Performance package that adds variable-ratio steering, rear-wheel steering, and active anti-roll bars. Chief engineer Toshio Asahi emphasizes that sportiness is still important in a car like the LS. 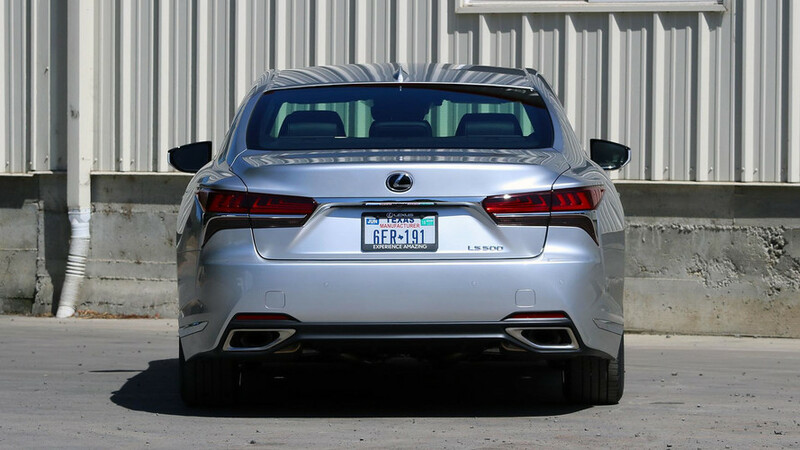 The F Sport trim, which Lexus expects to attract 20 percent of shoppers, does indeed feel a little bit more eager on the curving roads of Marin County. It accelerates enthusiastically, turns in sharply, downshifts promptly, and hugs the road eagerly as I hustle. Sports car, no, but not bad for a 17-foot-long luxury sedan. There’s a more vocal engine note in Sport and Sport+ modes, too, but officials admit that most of the noises I hear come through the speakers. One less-than-welcome sound also emerges when braking: perhaps only because they’re still relatively new, but the F Sport’s high-friction pads are noisier than I’d expect from a Lexus. It accelerates enthusiastically, turns in sharply, downshifts promptly, and hugs the road eagerly as I hustle. Sports car, no, but not bad for a 17-foot-long luxury sedan. The return drive into downtown San Francisco provides some opportunities to see active-safety features in action. For instance, the LS has forward cross-traffic alert, which like the popular rear-cross traffic features on many cars, warns you if a car is approaching rapidly from either side. 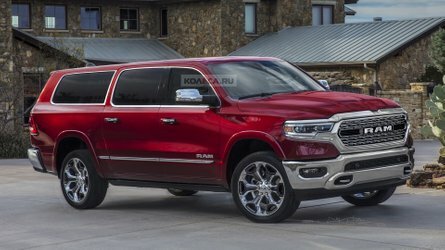 When I try to creep out at a busy intersection in anticipation of turning right on red, the system chimes to warn of a Ford Explorer blasting across the junction. And when phone-gazing pedestrians step out ahead of me, the car provides visual and audible warnings. Were I not to brake, the car would do so for me. In fact, the Lexus system will even attempt to steer away from a pedestrian if it determines braking alone won’t prevent the crash. And if things go really wrong, a pop-up hood aims to reduce injuries to pedestrians. 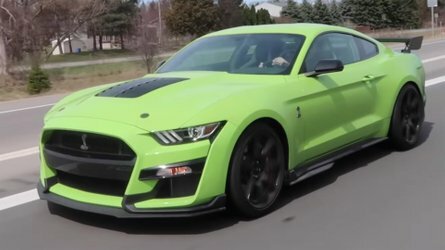 Other goodies on the lengthy equipment list include a 23-speaker Mark Levinson sound system, a 360-degree camera, a panoramic sunroof (an LS first), and a kick-to-open power trunk. A subscription to the Lexus Enform telematics system is free for 10 years, allowing you to remote-start, unlock, and otherwise interact with your car via smartphone app. 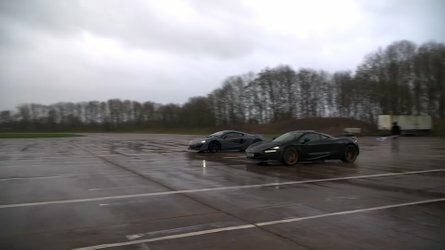 Still, there are some things available on rival cars that are not offered in the LS. The infotainment system, as is the case with all Toyota and Lexus products, lacks Apple CarPlay and Android Auto support. The engine doesn’t have a stop-start feature; although it’s available in other markets, Lexus decided U.S. customers wouldn’t want it. 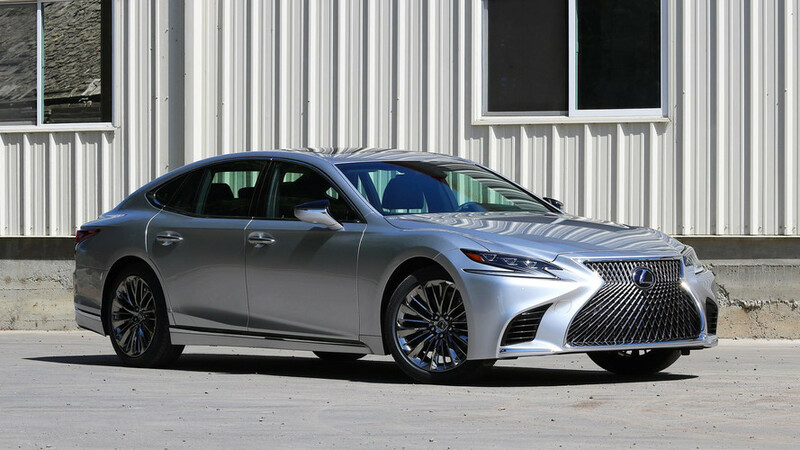 While it doesn’t exactly break new ground in the luxury-sedan segment, it confidently advances the LS’ longtime virtues and modernizes the car for today’s buyers. Nor will you find a self-park feature. The Lexus LS was actually the first U.S.-market car that could parallel-park itself, but the company found customers didn’t like it and discontinued the feature. Whether any of these are actually deal-breakers, though, really comes down to buyer taste. It’s a little easier to stomach the shorter equipment list when you compare price tags. Though exact numbers have yet to be finalized, Lexus says the new LS will start at about $75,000 and a fully loaded example will top out near $100,000 – with about 70 percent of them leaving dealers with a sticker below $80,000. 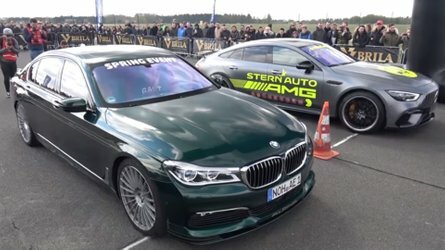 While that’s pricier than the Cadillac CT6, Genesis G90, and Lincoln Continental, the LS will be more affordable than its German rivals, the Audi A8, BMW 7 Series, and Mercedes-Benz S-Class. 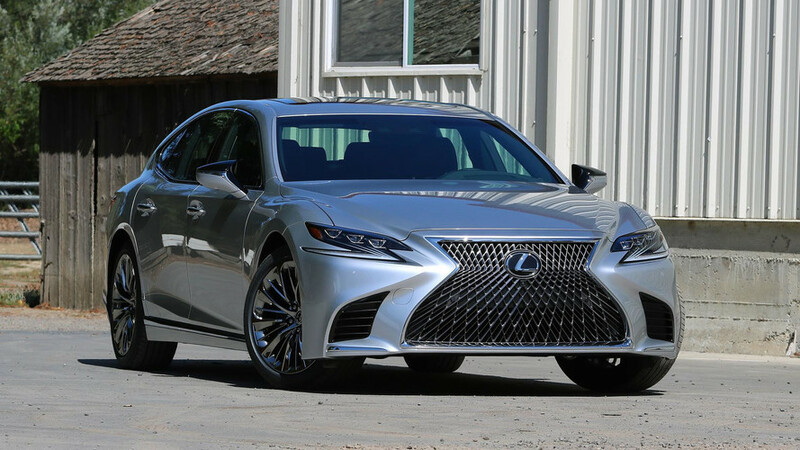 Value-for-money is not, however, the only reason to consider the 2018 Lexus LS. Whether you’re behind the wheel or just along for the ride, you’ll find the new car provides effortless, easy transportation with a high level of comfort and style. 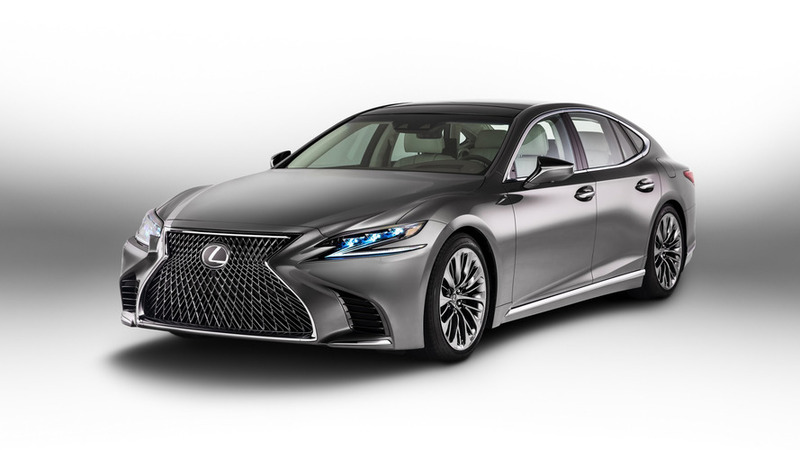 While it doesn’t exactly break new ground in the luxury-sedan segment, or knock the German Three out of contention as the standard-bearers, it confidently advances the LS’ longtime virtues and modernizes the car for today’s buyers. This is a car that you’ll be proud to park outside your home, eager to drive, and thrilled to be chauffeured in.